It is located in the close vicinity of Kalimpong town and one can reach it within 15min on a vehicle. 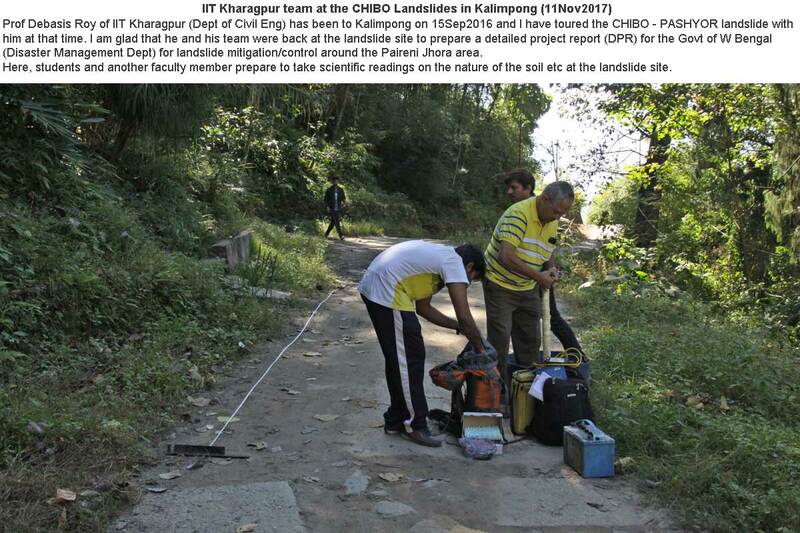 Not many researchers of landslides and certainly no high ranking govt official or VIP will travel 4 hrs on a bumpy, slushy road or much less, trek for 3 hrs to investigate a landslide. Most would much rather have a peek at the landslide from inside their SUV and go back to the comfort of a plush hotel to discuss the landslide on a laptop! 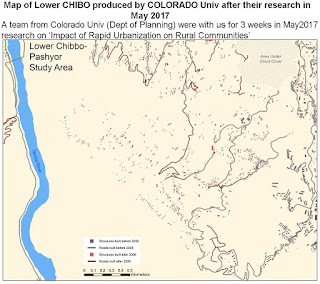 The CHIBO-PASHYOR landslide is humungous - sufficiently big to impress researchers and VIPs alike yet not too dangerous during the dry season and winters, when most landslide research/survey is carried out. Yes! 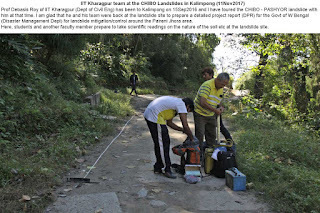 While flood surveys are conducted when a river is in full spate and large areas are submerged, most landslide surveys are generally done in the post monsoon (dry) period, when much of damage has been repaired or devastation/impact of landslides cannot be gauged fully. Too bad. 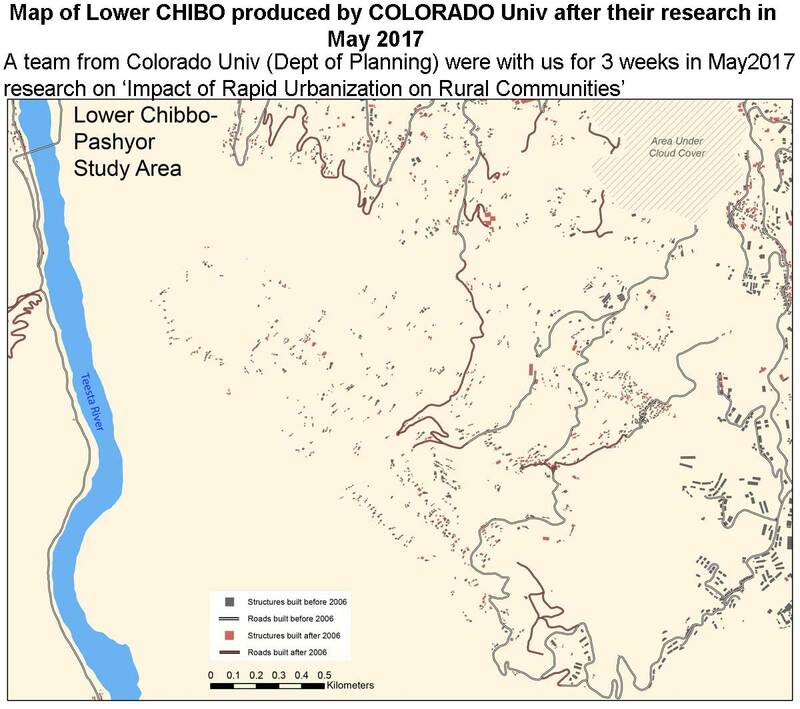 SO while there are huge and dangerous landslides else where in this region, the CHIBO-PASHYOR slide remains my favorite and with the numerous scientific and other teams visiting it, I am glad that there is a tiny glimmer of light at the end of a long, dark tunnel. And all said and done, I am extremely glad that landslides in this region are getting due attention at last and that STH is able to play a minuscule role in all this. 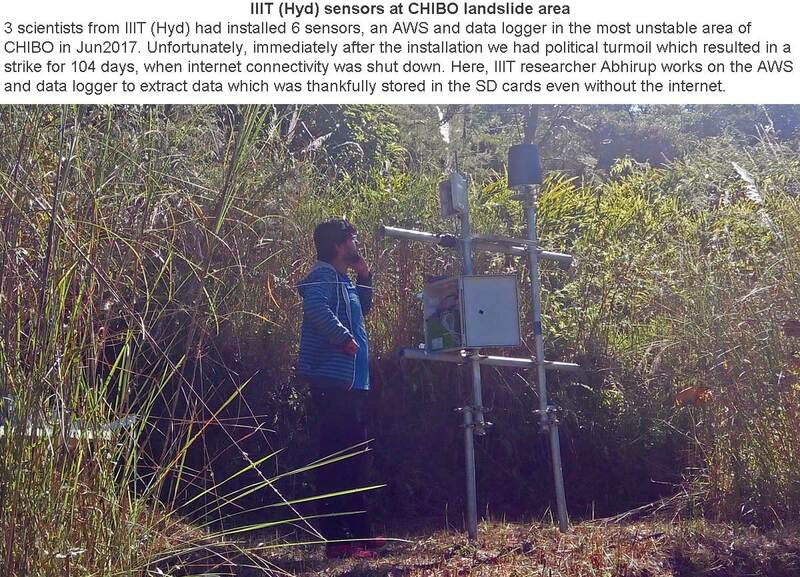 Project 'LANDSLIP' was in Darjeeling in Jan2017 (see here). I am glad that STH could meet them and Practical Action once again, this time in Kalimpong and spend the entire day with them. We started the day with a presentation on the landslide scenario on Kalimpong and more specifically the CHIBO- PASHYOR landslide and then carried out a field visit in this landslide area with local guides. 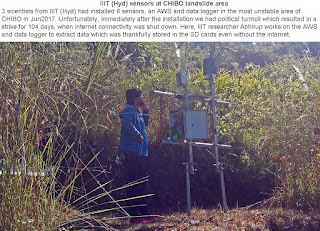 As stated by Dr George Adamson of the team, the project aims at developing landslide EW (early warning) methodology based on accurate prediction of heavy rainfall whereby mountain communities living in landslide prone areas could be alerted in time to take requisite measures to save lives. The team had a strong presence of social scientists which is perhaps the right way to go, because strengthening community resilience and awareness is of utmost importance in any landslide disaster scenario. 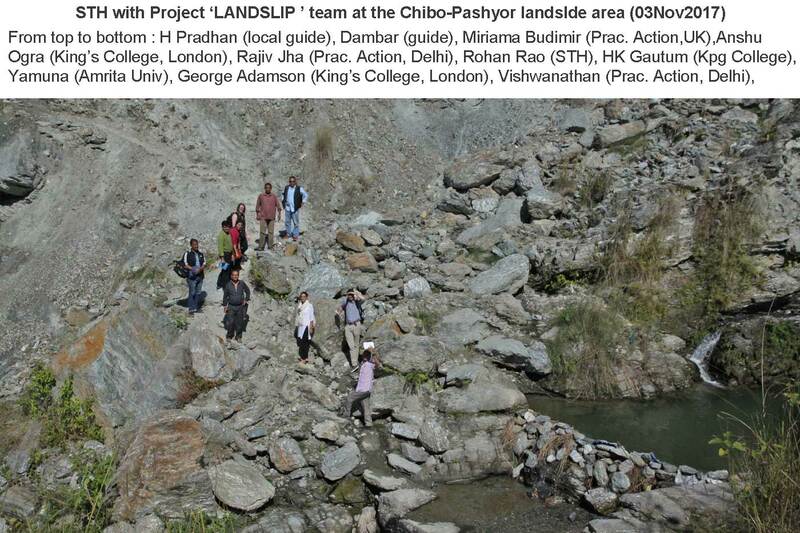 LANDSLIP will be working in the Darjeeling-Sikkim Himalaya and the Nilgiris.